One of the best things about our nomadic lifestyle is the lack of a set schedule. Yes, we still have certain obligations and responsibilities, but beyond weather and connectivity considerations we are generally free to go where we want for as long or short amount of time as we want. Despite our free roaming capabilities, a few months ago we decided on some self-imposed time frames- September in Washington, October in Oregon, November in northern CA, and December and January in Southern CA. September and October were nearly spot on, but as it’s now the middle of November and we’re all the way down in southern California, which is way ahead of schedule, it appears that we’ve gotten a bit off track. Guess what though? It doesn’t matter. In fact we’re enjoying the freedom to decide our travel pace on a day to day basis. Right now we’re in between the summer and winter vacation seasons which means the parks are mostly empty and there’s no need for reservations. This allows us the freedom to take things one day at a time- often only paying for one night and then deciding in the morning whether to stay or move on. Lately the stops have been short. Frequently we stay put for only one night, sometimes two, and maybe three or four if we really want to stick around and explore. Our rate of travel of late has been fairly fast paced, due in part to the weather. The far northern part of California was rainy and a bit chilly which cinched the decision to move south much quicker than originally planned. Another factor has been cost. 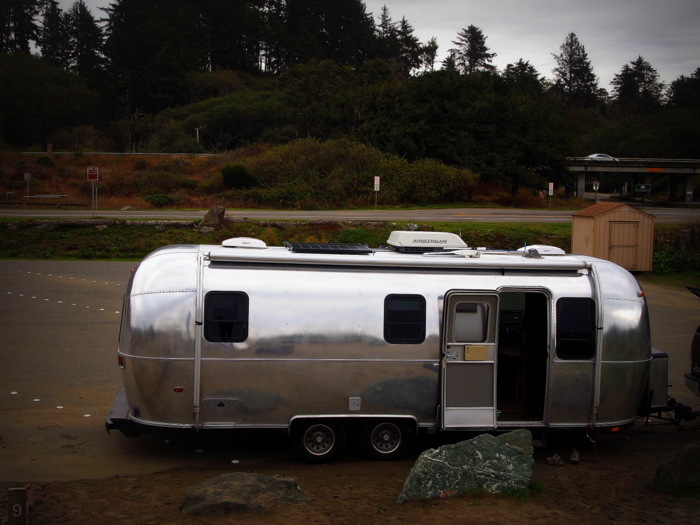 Campgrounds on the California coast are fairly pricey so we figure the sooner we move south into the desert where we hope to find some free camping, the better it will be for our budget. The final part of the equation is the excitement factor. Exploring a new place every day, or every few days can be really thrilling. 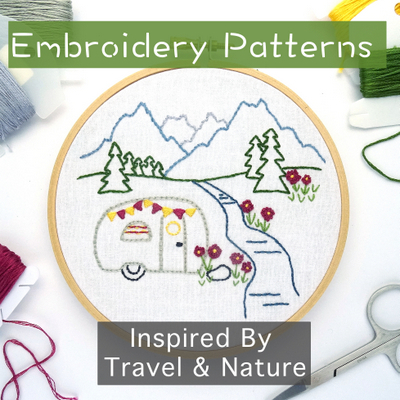 A huge part of our decision to live life on the road was to liven up our surroundings. We wanted to see more, do more, experience more. Which is exactly what we’ve done. There’s no doubt that in a few weeks, or maybe a few months, our pace will slow down. But for now we’re enjoying the freedom to move quickly and enjoy all that the journey has to offer. 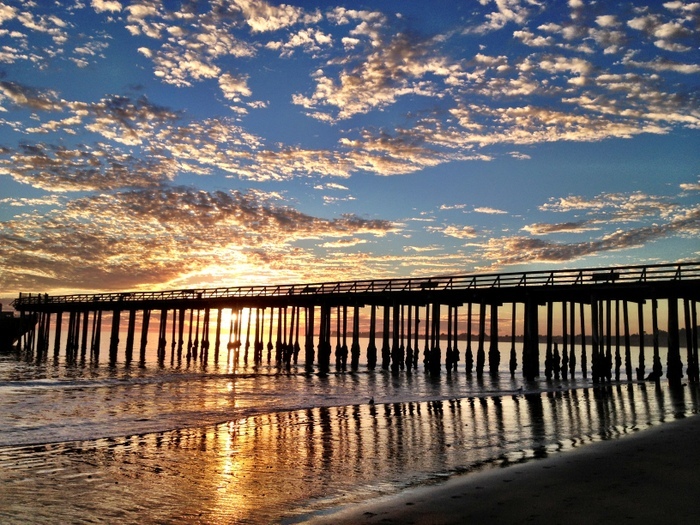 Which brings me to our most recent stop in Santa Cruz where we only spent 24 hrs but managed to fit in everything we wanted to do and see. 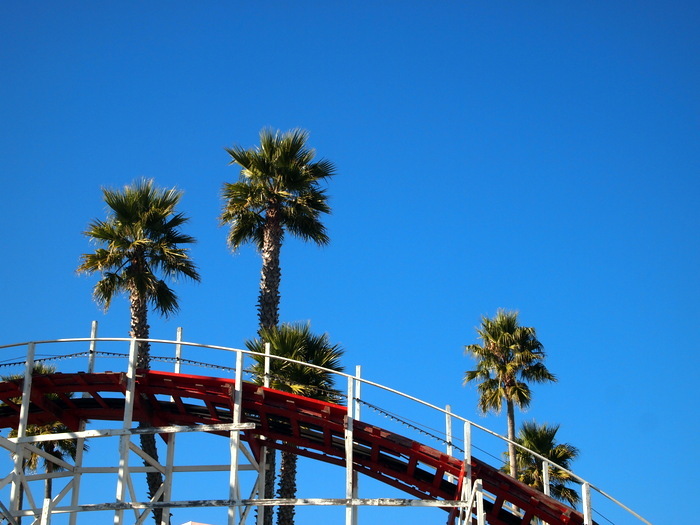 First up…the Santa Cruz Beach Boardwalk. 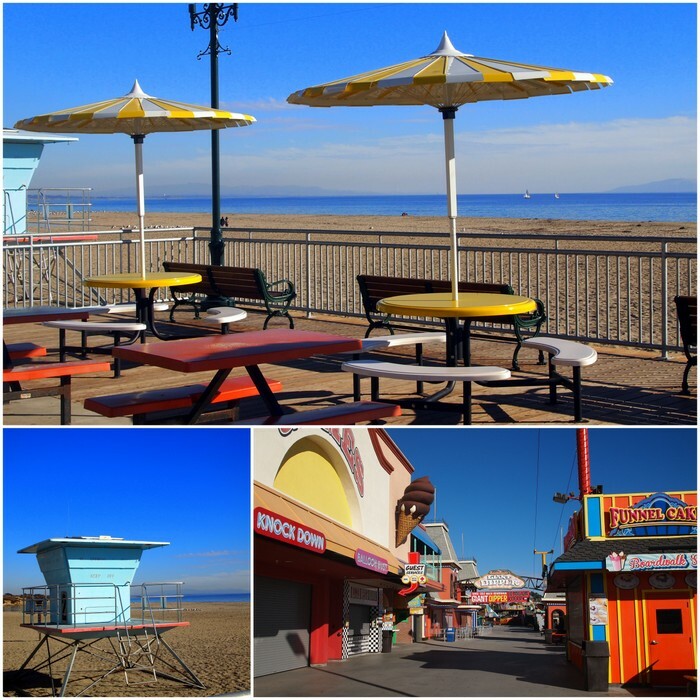 The boardwalk offers a truly unique mix of beach, amusement park, and history. 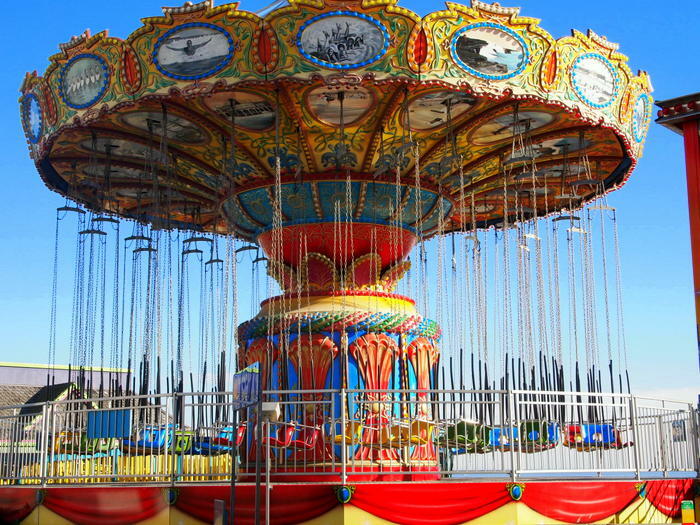 The park has been in operation since 1907 and two of the rides are even listed on the national register of historic places. I will admit we were a little disappointed to learn that this time of year the rides are open on the weekends only- and even then only a limited number of rides. 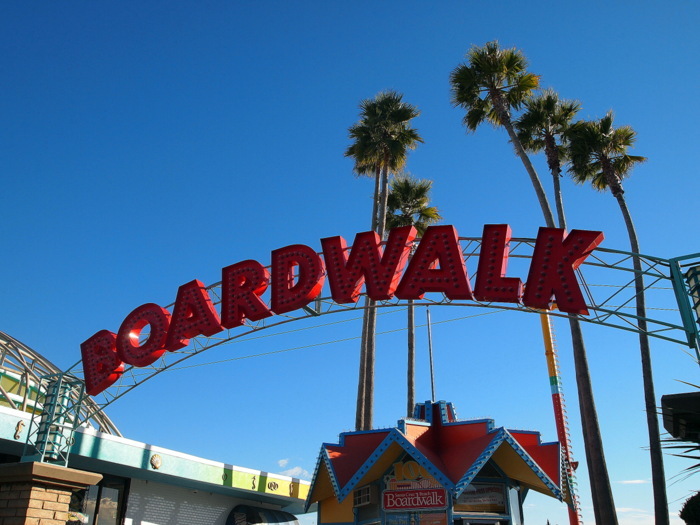 You can still walk on the boardwalk and beach any day of the week though. It was eerily strange walking through a deserted amusement park. The good part was that without throngs of people we were able to walk around and get a good look at the rides. The bad part was that a large section of the park was closed off so we only got to see some of the rides up close. My favorite was the Sea Swings. It had some amazing beach scenes at the top. The other ride we liked (and surely would have ridden had it been open) was the wooden roller coaster, named the Giant Dipper. This is one of the oldest rides in the park, dating back to 1924. 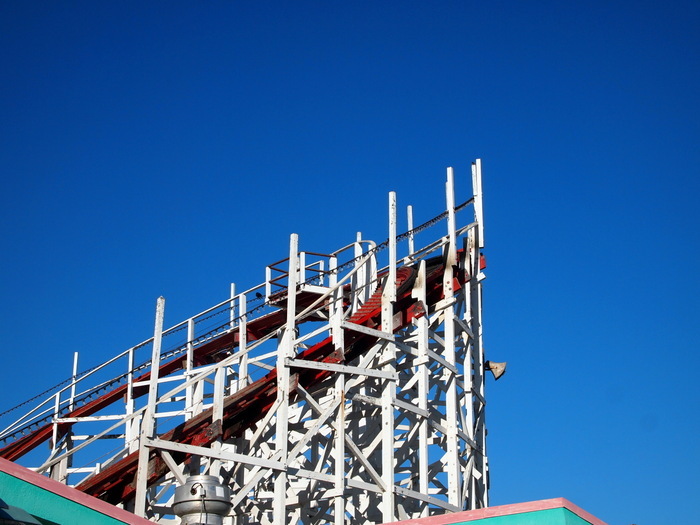 It’s also the fifth oldest wooden coaster in the US and (according to the park’s website) one of the most popular rides on the boardwalk. 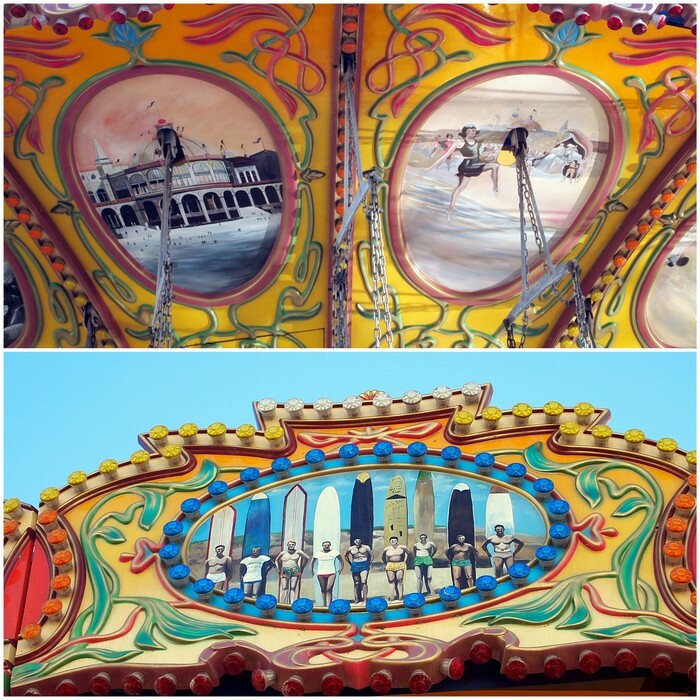 Had the rides been in operation we could have easily spent an entire day on the boardwalk. Instead we wandered around for less than an hour before heading to the downtown area to attend the Wednesday afternoon farmer’s market. 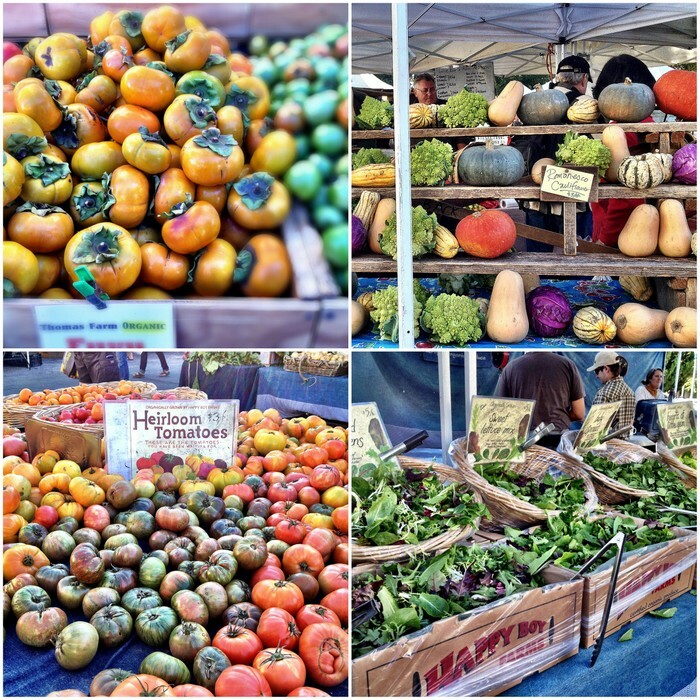 Every farmer’s market we go to out on the west coast is better than the last. This one was particularly impressive because everything was organic. 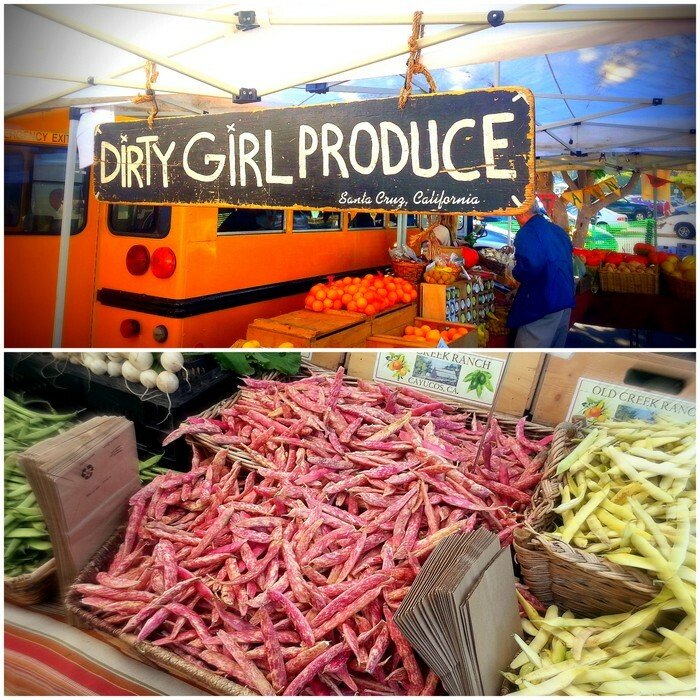 Usually a farmer’s market is a mix of organic and conventionally grown produce- but not in Santa Cruz. We also kept marveling over the sheer variety of fruits and veggies. I mean come on, fresh tomatoes in the middle of November- it’s almost too good to be true. We stocked up on everything filling our bags with not only veggies and fruits (my first time buying persimmons) but also a pound of almonds, some fresh bread, a bag of fresh spinach and saffron pasta, and even half of a roasted chicken! Oh, and Tim got some himself a chocolate caramel ice cream cone…organic of course. 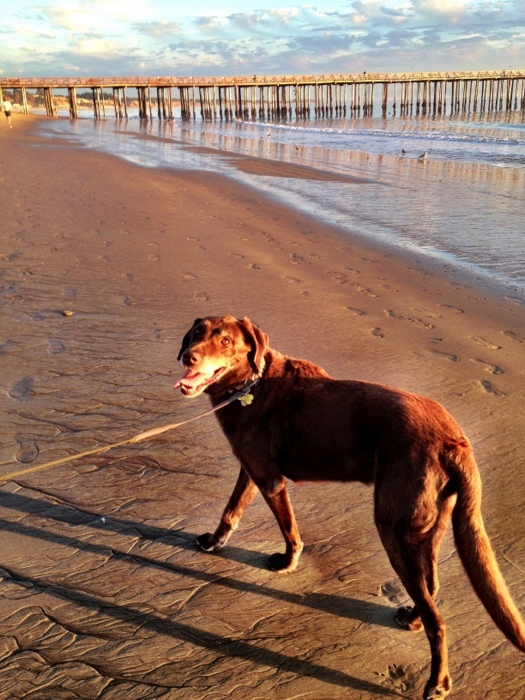 To complete our wonderful day in Santa Cruz we took a late afternoon walk on the beach. From our spot at New Brighton State Beach it was only a short walk down to the beach. The sun was low in sky by the time we arrived and the clouds were scattered around like little cotton balls spread across the horizon. We walked for awhile and watched the sun sink lower in the sky treating us to one of the most gorgeous sunsets we’ve seen during our time on the coast. 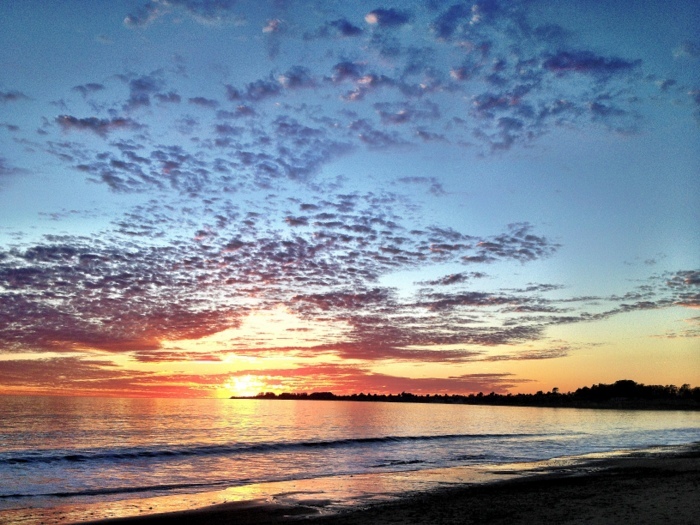 A perfect end to a perfect day in Santa Cruz.